Bernardo Tirado, an industrial psychologist and project management executive, helps project managers understand how Industrial Psychology can help them maximize team performance and develop a working knowledge of how to profile teams to obtain optimal productivity results. In this interview, I ask Bernardo to share with us insights about Industrial Psychology and human performance, the psychology of change, and the importance of understanding body language. Bernardo Tirado has extensive experience in building global shared services, transforming organizations through process improvement, and developing new business capabilities. He’s worked in Fortune 50 companies over the last 15 years marrying Industrial Psychology and Project Management. He is currently a VP for a top Financial Services Company. Bernardo is a certified Six Sigma Black Belt and a Certified Project Management Professional. He also taught Industrial Psychology at the Metropolitan College of NY as an adjunct professor. 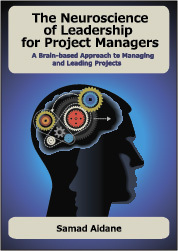 How did you get interested in Industrial Psychology and how can project managers benefit from this field? What’s Industrial Psychology telling us about human performance? What do project managers need to understand about the psychology of change? What are some of the key benefits project managers can gain from understanding body language in the context of leading teams? You will be presenting about this topic at the Pink Elephant’s 16th Annual International IT Service Management Conference February 19th thru 22nd, 2012. What are the top questions you will be addressing in the presentation?